Windows at AUT's award-winning building have been shattering. Photo: Grace Ellis. 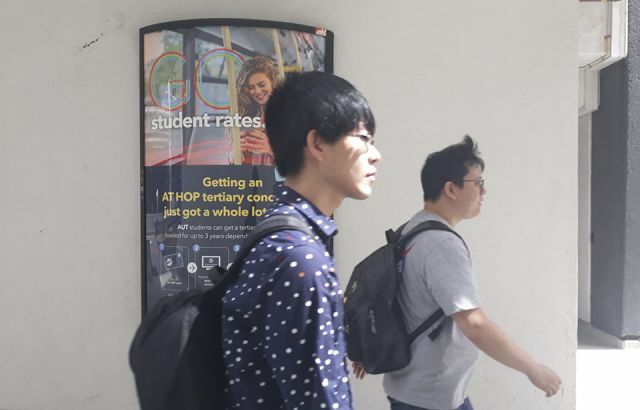 The cause of glass windows spontaneously shattering at Auckland University of Technology's Sir Paul Reeves building has been identified as a flaw in the glass manufacturing process. Since the award-winning building opened in 2013, glass windows have shattered on numerous occasions, with seven windows currently broken. The manufacturing flaw starts off as an undetectable nickel-sulphide stone which can occur in tempered glass and develops into what is known as 'nickel sulphide inclusion'. 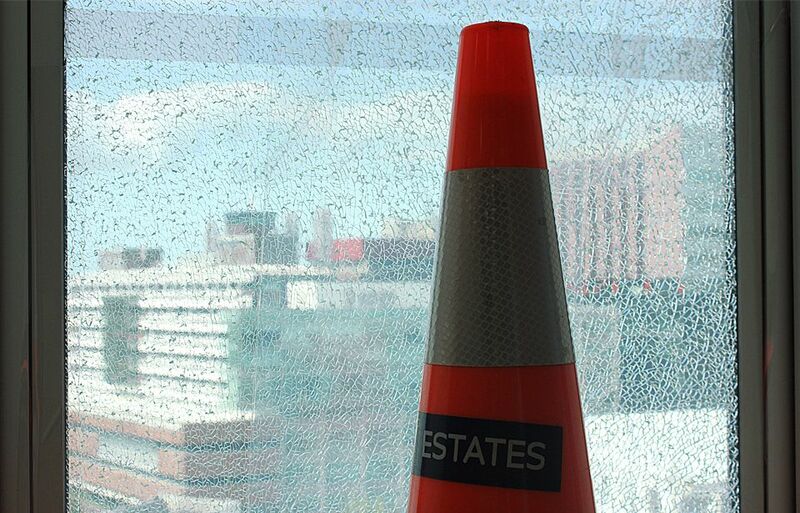 This defect results in the expansion and contraction of glass during weather changes which cause further stresses and fractures. Matthew Taplin, Estates operations manager at AUT, says the flaw is becoming more of a common occurrence in Auckland high rise buildings. All glass installed in the university building is a specially manufactured safety glass from Singapore, unlikely to fall out of its frame if it shatters. Mr Taplin says the glass poses little threat to staff and students but a minor safety issue still exists if people do not take care around the broken glass before it is secured with a security film. 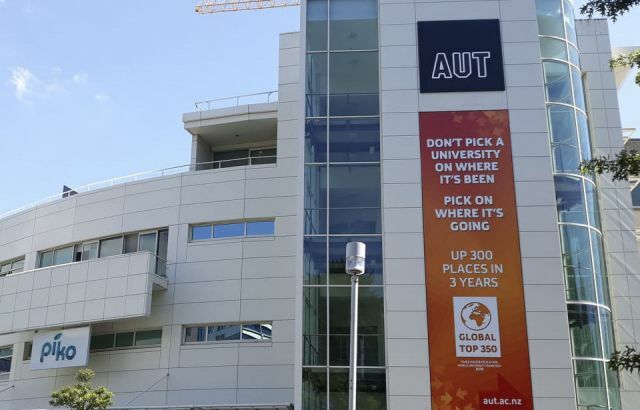 Former AUT student Melanie Dooley says she noticed a shattered window in the Media Centre of the Sir Paul Reeves building last year and assumed another student had done something to break it. "I had no idea what happened, but I never thought it would be the glass itself that caused it to break. "It didn't really seem unsafe to me… I don't see why someone would feel the need to go and touch it,” says Ms Dooley. Lara Posa, AUT Estates communications manager, says the Estates team is now enforcing stricter levels of quality guarantee from companies involved in manufacturing and installing glass windows. Ms Posa says the safety of staff and students is a major priority. However, replacing the broken glass is costly for AUT. "The safe removal of the broken glass, reinstatement of new glass, cost of materials and all work undertaken out of operational hours to remove the safety risk, will cost in the thousands," says Mr Taplin. He says it is a lengthy process to schedule glass replacements but says it is an utmost priority to secure it and make it safe for students. With currently no known technology to completely eliminate formations of nickel-sulphide stones Mr Taplin says it is impossible to predict whether more breakages will occur in the future.